Chips, Cheetos and peanuts are all things you might expect to find in an airport vending machine. Local art … not so much. 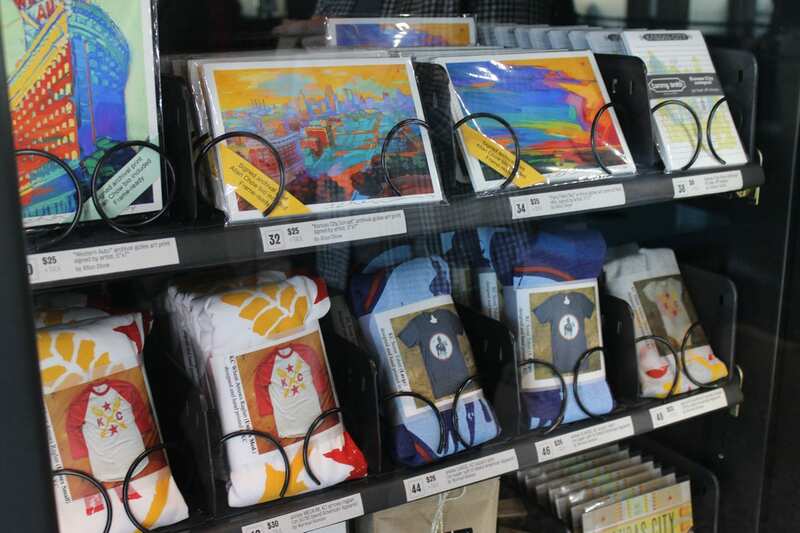 But in one vending machine in the Kansas City Airport, you can expect to find locally made art, jewelry, T-shirts and the like. 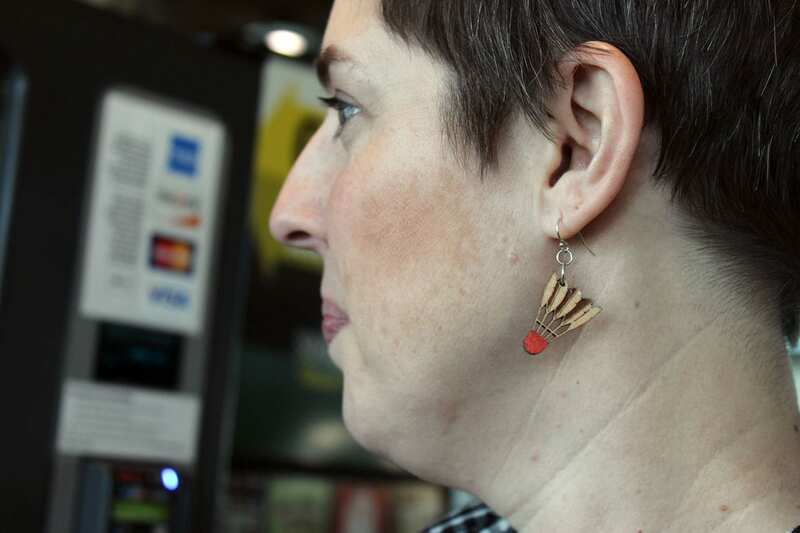 You swipe your credit card and out comes an original work of art created by a KC maker. The idea was created by a new KC start up company called souveNEAR, founded by Kansas City women Tiffany King and Suzanne Southard. Looking around the airport, they found plenty of baseball caps, T shirts and mugs screaming “KC” at travelers — but it occurred to them that none of the “Kansas City” souvenirs were actually locally made products. “We thought it was strange that so many souvenirs had the name of the city but weren’t at all from the city, weren’t made in the city and didn’t really have any connection to the city,” King said. 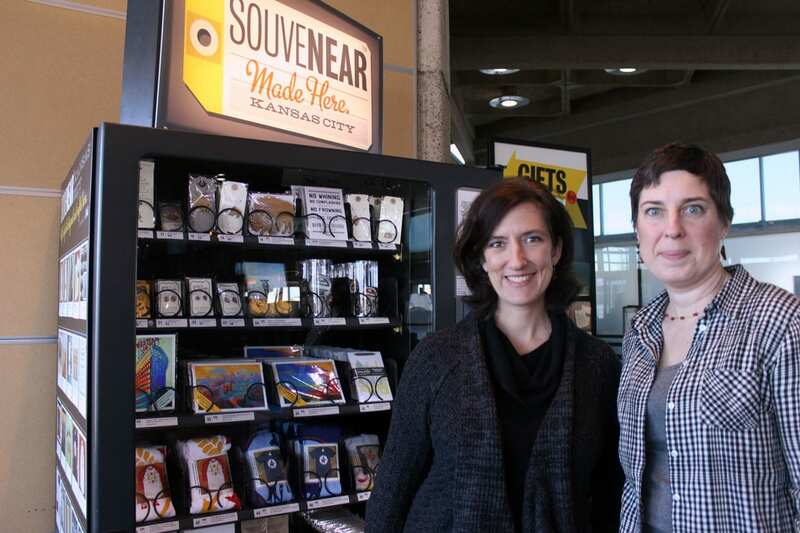 So, the two worked with local artists and artisans to produce souvenirs — made right here in KC. So far, so good. But, how did these products end up in a vending machine? One of the company’s goals is to sell local art in heavily trafficked areas where you don’t usually find local art — like the airport. King and Southard said the idea for a vending machine came naturally — it was an easy and quick way to get the products into the airport. And starting with airport vending machines has allowed them to bypass many of the challenges of opening a brick-and-mortar store. The first SouveNEAR vending machine was installed right before Thanksgiving, and Southard and King said it has been pretty successful. “Everyone’s been really supportive and really excited about the idea,” Southard said — and that includes artists. The pair have had artists approach them wanting to sell their products in the machine. One artist even created a small art print specifically to fit inside the machine. Call it a vending machine original. 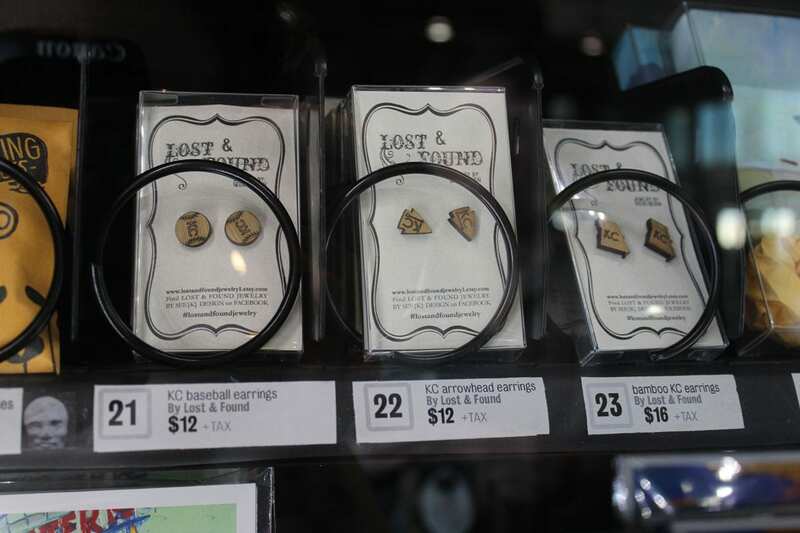 Right now the machine has items like necklaces with wooden pendants in the shape of Kansas and Missouri, artsy KC T-shirts and baby onesies, art print postcards with the Kansas City skyline, locally made pistachio brittle and shuttlecock earrings. Items in the souveNEAR machine range in price from about $2.50 to $40. When you think vending machines, it’s hard not to envision your bag of M&Ms or can of soda getting stuck, while the machine stubbornly keeps your change. And Southard and King have thought about that, too. The souveNEAR machine has a laser sensor that is set off when the product drops. If nothing drops, the credit card isn’t charged. So far, the project has been entirely self-funded, and King and Southard have taken on some debt. Now, they’re looking for funds so they can expand to more machines in KC and eventually other cities later this year. Eventually, the pair hope to hire staff for packaging, stocking and other needs. “Both of us are genuinely interested in creating jobs and supporting income in the cities that we’re in, so part of our goal is to find opportunities for employment for local people,” King said.